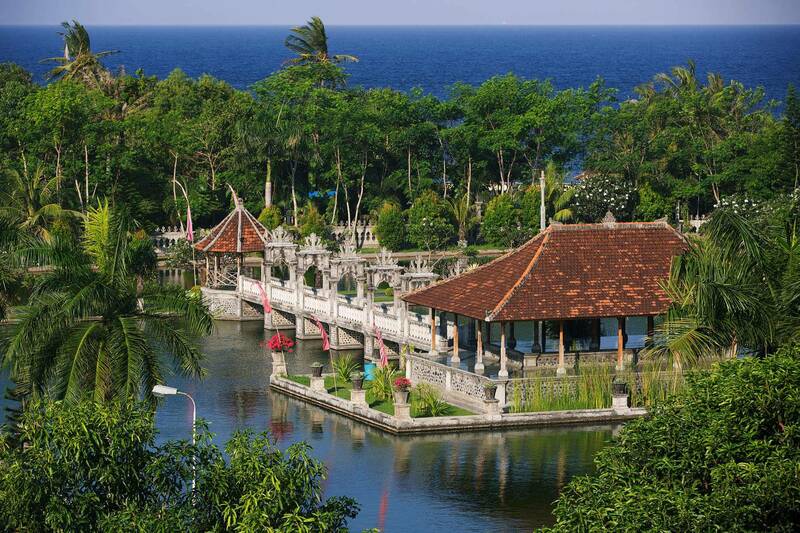 Candi Dasa is a seaside town in eastern Bali that rests on the edge of a fresh water lagoon. It is popular tourist stop and is often described as a more sedate and laid back beach alternative to the teeming, nightclub filled Kuta area or the large, manicured resorts at Nusa Dua. Most sources say a fishing village was founded on the site by the 12th century and before the modern name of Candi Dasa was adopted it was known as both Teluk Kehen and Cilidasa. 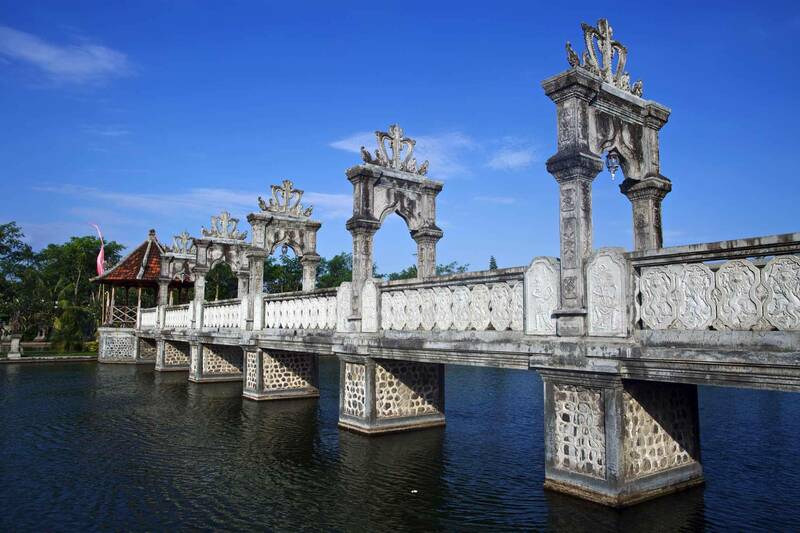 There is a temple near the lagoon, with a statue of the fertility goddess Hariti surrounded by a group of children, and cilidasa translates from Balinese as "ten children", so many Balinese who want to have children go on pilgrimage to this place. The modern name is thought to be a corruption of this older name. The town began to catch on as a tourist destination in the 1970s, since there is good snorkelling and diving in the area and the town provides easy access to other destinations in eastern Bali. In the 1970s and 1980s, the area received a large amount of investment in tourism and a construction boom. To fuel the construction of beach bungalows, new homes and restaurants, the offshore reef was mined for lime to make cement and other construction materials. This removed the coastal barrier that had protected the beach which was undermined and washed away. Local hotel owners constructed a series of t-shaped groins jutting out into the water in an attempt to preserve the beach, with mixed results. Candidasa is a great spot for snorkeling and diving. There are three islands just of the coast: Gili Tepekong, Gili Mimpang and - a bit further north-east, Gili Biaha. All three offer excellent diving, especially for more experienced divers. Currents can be quite strong and surprising, but most of the dive centres in Candidasa are trust-worthy. Other dive sites include the Jetty (in between Candidasa and Padang Bai), which is a paradise for macro fans. Candi Dasa | eTips Inc.